It's really really cold in New York City and people can't seem to get over it. Here's a screen grab from the weather app on my iPhone. Yes, today is Friday and the current temperature where I am is 12 degrees Fahrenheit and the highest temperature it will go up to is 28 degrees. 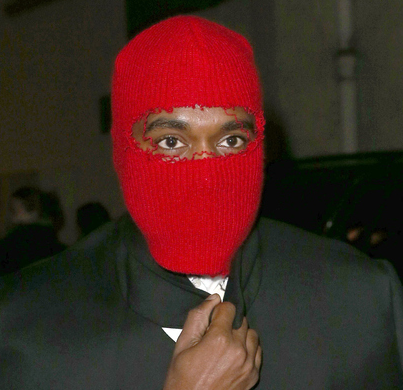 I guess this explains why Kanye West was spotted wearing this cut up ski mask below. 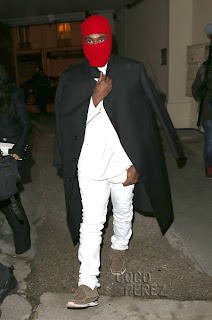 Even though Kanye was seen wearing this ski mask going into a fashion show in Paris on Wednesday this outfit choice made me google the weather in Paris and it seems to be just as cold as it is here as it is there. At first I judged him..... but now I get it! Right on Kanye .. Right on. Look as crazy as you want as long as your face stays warm, I'm all for it. Today my scarf did not match my jacket and I'm okay with that. I'm just not sure why Kanye didn't get a nicer ski mask. Maybe one with diamonds on it. 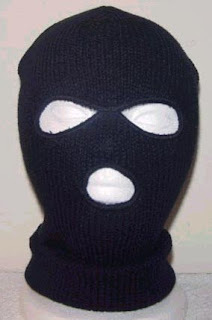 And don't ski masks usually have an opening for the mouth. Hmmm. Here's Kanye's full outfit just in case you'd like to see it. I do wish his sneakers were red to match the ski mask but who am I to judge his fashion choices. And while we are on the topic of fashion choices and keeping warm, this showed up on my news feed this morning. I guess this is an effective way to keep your man parts warm fellas. It's the grey shorts sweater trousers. I'm guessing this will make the perfect Valentines Day gift for some lucky man out there. I have no words for this. 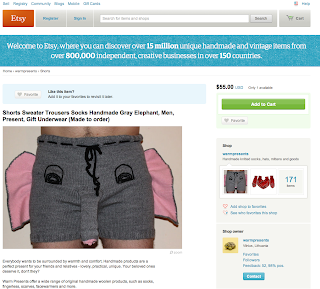 And yes this is a real item for sale on Etsy.